The flowers are in full bloom, the grass is bright green, the sun is shining, and the birds are chirping away happily. This can only mean one thing, and that thing is spring! And it’s by far my favorite time of the year. There couldn’t be a better season to celebrate mom. At my house, we always start Mother’s Day with a beautiful brunch. If you’re looking for a great way to dazzle mom with a morning meal that looks as good as it tastes, look no further than these gorgeous Ombre Waffles. The colors will make her eyes pop! It all starts with just a handful of basic ingredients, in addition to a fresh beet for color, and a cup of juicy, seasonal blackberries. 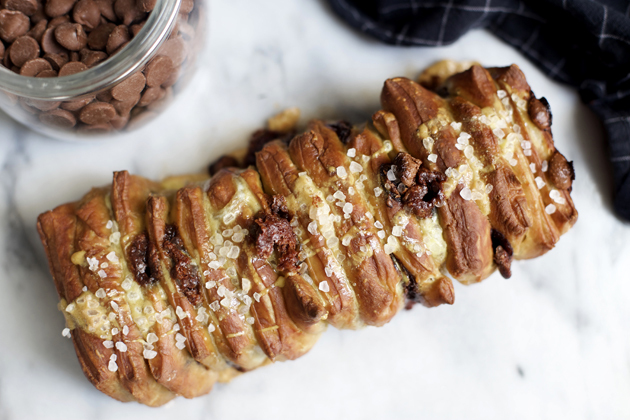 Start by roasting a beet wrapped in foil in your KitchenAid® 30-Inch 5 Burner Gas Convection Slide-In Range with Baking Drawer at 425°F until tender. Be sure to wrap it carefully in the foil because it will get very juicy as it cooks, so you don’t want that dripping all over the bottom of your oven and burning. While that’s cooking, reduce your blackberries, sugar, and water on the stove until the mixture reaches a thick and syrup-like consistency. Once the beet has cooled a bit, remove the peel with a vegetable peeler, and cut it into one-inch pieces. 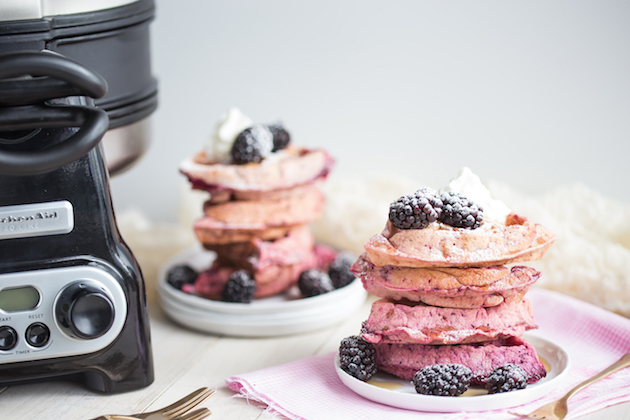 Add the beets, along with the blackberry jam, to the bowl of your KitchenAid® 5-Speed Hand Blender, and blend until smooth. This Hand Blender is so easy to use, and I love how quickly it blends together the ingredients for this recipe. Then, preheat your KitchenAid® Waffle Baker with CeramaShield™ Non-Stick Coating before mixing together your batter, so it’s ready to go as soon as you are! 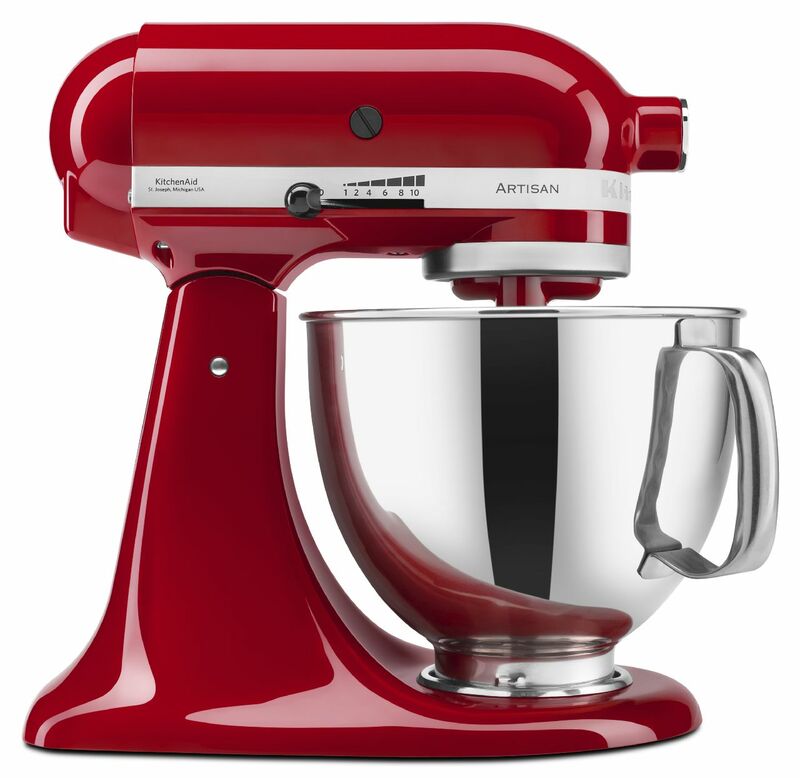 To make the batter, start by mixing the flour, baking powder, and salt together in the bowl of your KitchenAid® Artisan® Series 5-Quart Tilt-Head Stand Mixer on a low speed (2 or 3). In a separate bowl, combine the buttermilk, eggs, and vanilla. Stir the wet mixture into the dry ingredients in your Stand Mixer bowl, as pictured above, until they are almost combined. Then, mix in the melted butter for added richness. Divide the batter equally among four smaller bowls. Add a tablespoon of your blackberry-beet mixture to the first bowl. 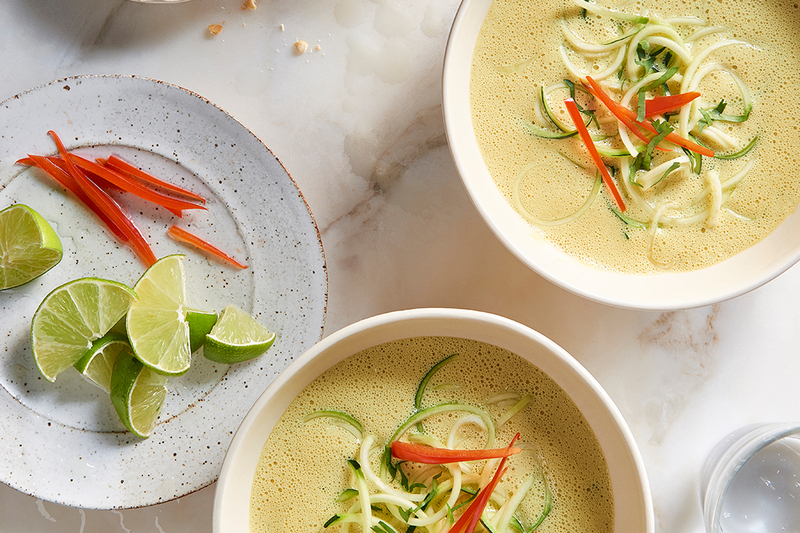 Stir two tablespoons into the next bowl, three tablespoons into the next, and 1/4 cup into the last bowl. 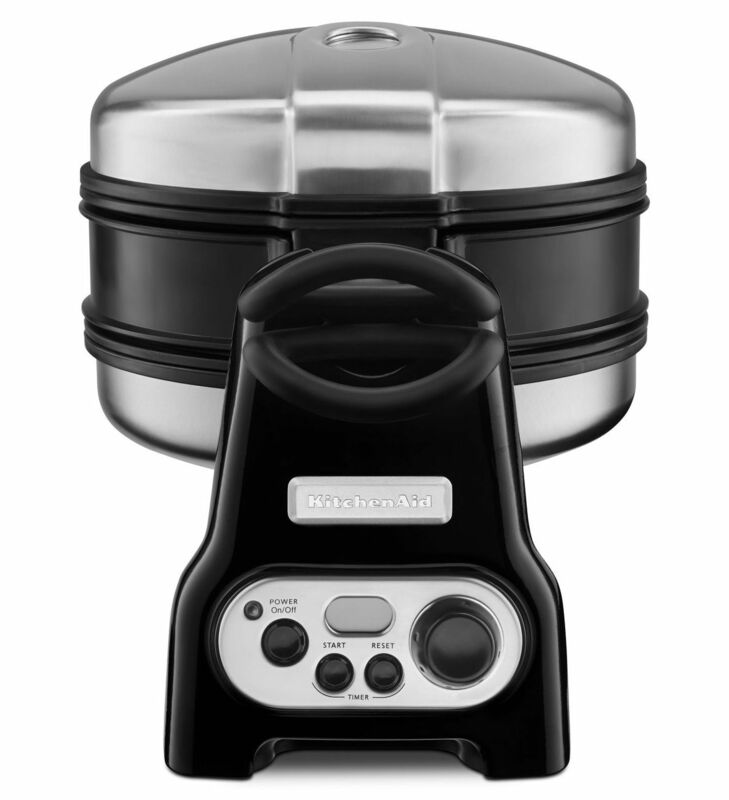 Scoop 1/4 cup of each of the batters into your KitchenAid® Waffle Baker, and bake for 2 minutes 45 seconds. This Waffle Baker also features a dual-sided design, allowing you to flip it over and bake off two waffles at the same time. This feature is definitely a time saver in the morning! The waffles will come out perfectly moist and tender on the inside, with a slightly crisp exterior and the loveliest pink hue! Stack them from the deepest color to the palest to really show off the ombre effect. Top with maple syrup, fresh berries, and whipped cream. Mom will really feel special when you serve her this beautiful brunch dish! Be sure to share your take on this Ombre Waffles recipe with us on Instagram using #MadeWithKitchenAid for a chance to be featured. 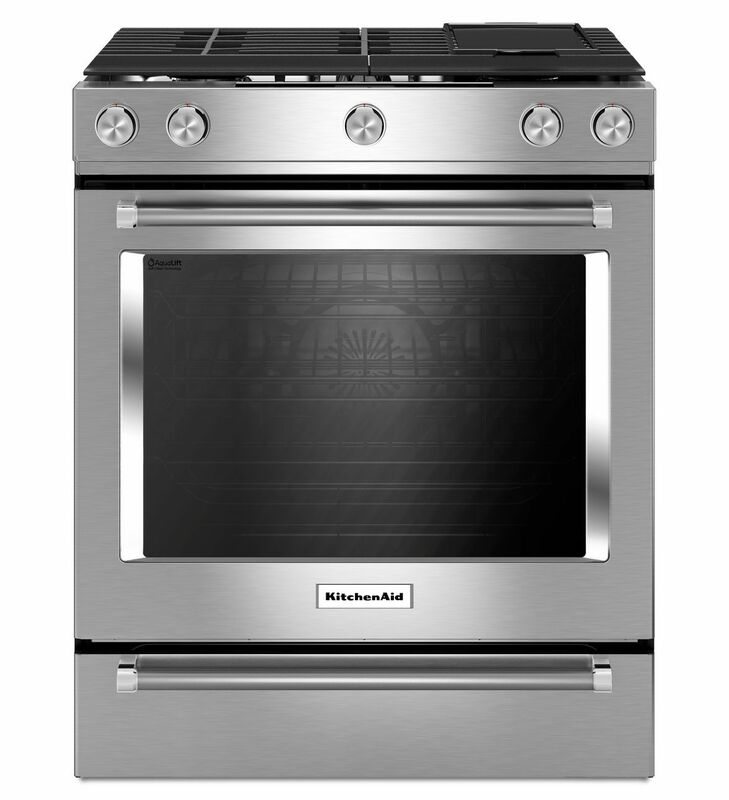 Preheat your KitchenAid® 30-Inch 5 Burner Gas Convection Slide-In Range with Baking Drawer to 425°F. Wrap the beet in foil. Roast the beet for one hour, or until tender when pierced with the point of a sharp knife. Allow the roasted beet to cool, and remove the peel with a vegetable peeler. Cut the beet into 1-inch pieces. Place the blackberries, sugar, and water in a small pot and cook over medium-low heat, stirring, until the fruit has broken down and the mixture has a syrup consistency. Continue to cook until thickened, about 5 minutes. 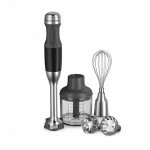 Transfer the mixture to the bowl of a KitchenAid® 5-Speed Hand Blender, and add the beets. Puree until smooth. Preheat your KitchenAid® Waffle Baker with CeramaShield™ Non-Stick Coating and lightly mist it with non-stick spray. Place the flour, baking powder, and salt in the bowl of your KitchenAid® Artisan® Series 5-Quart Tilt-Head Stand Mixer on a low speed (2 or 3), and stir to combine. In a separate bowl, combine the buttermilk, egg, and vanilla. Whisk together until smooth. Add the buttermilk mixture to the flour mixture in your Stand Mixer bowl, stirring until almost combined. Stir in the melted butter, taking care not to overwork the batter (it should be somewhat lumpy). Divide the batter equally between 4 smaller bowls. Stir 1 tablespoon of the blackberry-beet mixture into one of the bowls. Stir 2 tablespoons of the blackberry-beet mixture into another one of the bowls. Stir 3 tablespoons of the blackberry-beet mixture into another one of the bowls, and 1/4 cup of the blackberry-beet mixture into the last bowl. Place 1/4 cup of each of the batters into each of the 4 wells of the Waffle Baker, then flip and repeat on the other side. Bake the waffles for 2 minutes 45 seconds, then transfer to a wire rack to cool completely. Arrange waffles in a stack starting with the deepest pink color, fading up to the lightest at the top of the stack. Top with maple syrup and/or powdered sugar, and garnish with whipped cream and fresh blackberries.